Finance function within global food distribution organisation analysing key metrics for entire financial year. Ability to access greater analysis across regions and through time. 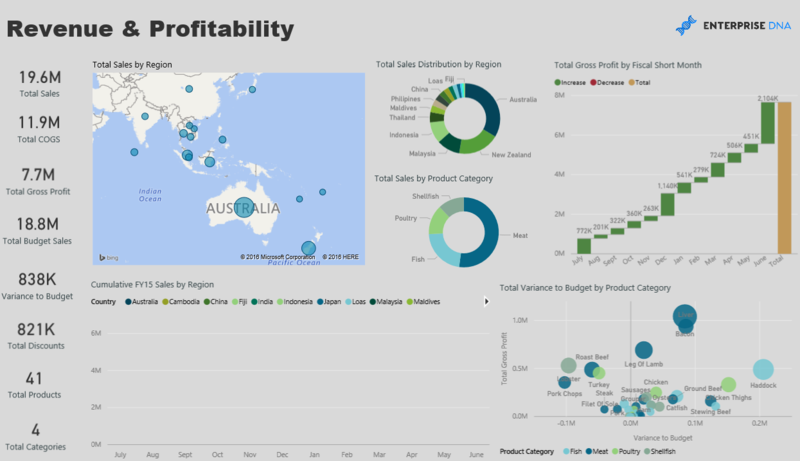 Gain insights into sales performance per products and product categories. Drill into detailed analysis for revenues, costs, gross and net profits for any key filters within the organisation. Finance function within global food distribution organisation analysing key metrics for entire financial year. Ability to access greater analysis across regions and through time. 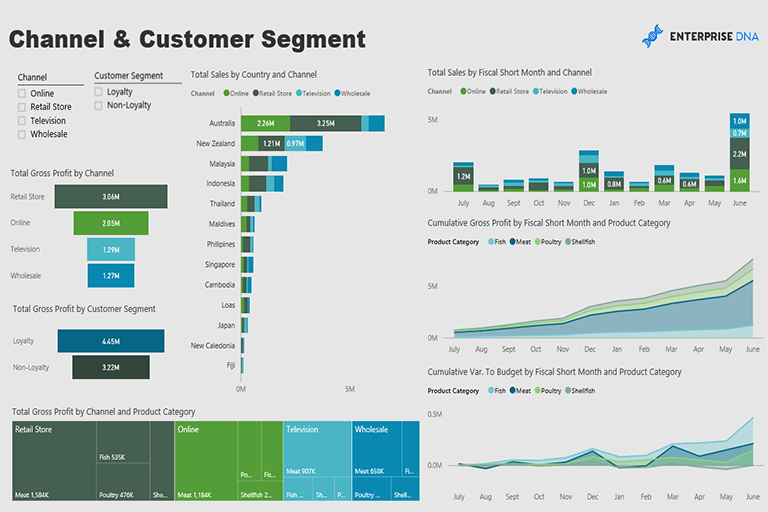 Gain insights into sales performance per products and product categories. Drill into detailed analysis for revenues, costs, gross and net profits for any key filters within the organisation. Financial intelligence at real time allows senior management to make resource and investment allocations as trends are identified throughout a custom financial time period. Compared also against company budgets across all key financial metrics. Identify key sales months and make key marketing and client decisions in accordance with one version of the truth. Reporting suite customisable to any finance and sales related function in any industry. 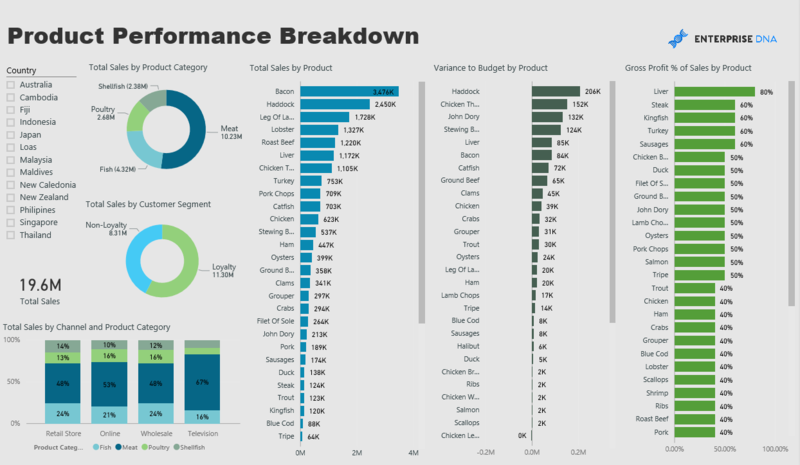 Product Performance Breakdown - What individual products and product categories are driving company and subsidiary performance? What resources should be allocated to where for optimal financial results? Channel and Customer Segments - Identify marketing results and in turn where marketing dollars need to be spent. Gain deeper insights into which sales channels produce the greatest results per region and per product category.